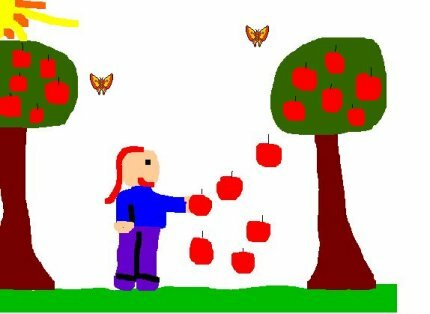 We began our study of Fall by reading several books about apples, pumpkins, leaves and poems about fall. Fall came very early to California this year. We have had many rainy days so far this year which is really unusual for us. Our rain usually comes in January and February. We began with an experiment with apples. We surveyed our class as to their favorite way to eat apples. 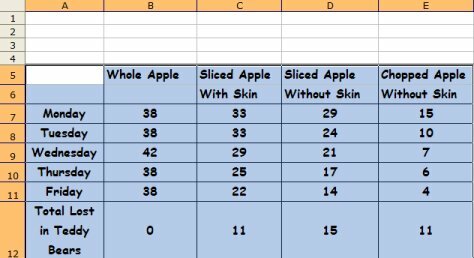 We wanted to see which apple lost the most water. We weighed each apple daily for one week. We had a whole apple, one sliced with its skin, one sliced without its skin, and finally one apple with no skin and chopped into pieces. We made a table with our results in Excel. 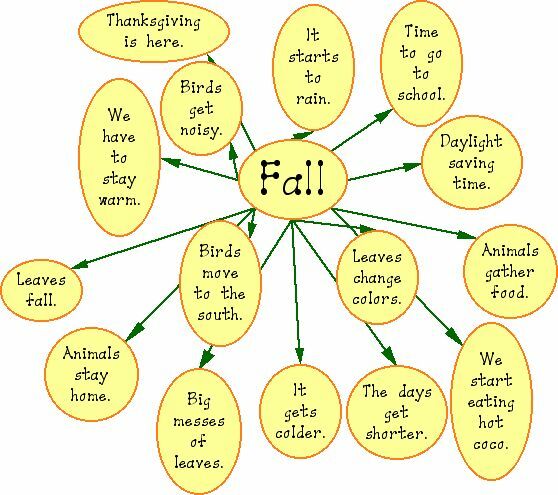 Next we made webs about the signs of Fall. We created our webs in Kidspiration 2. Using The Graph Club. 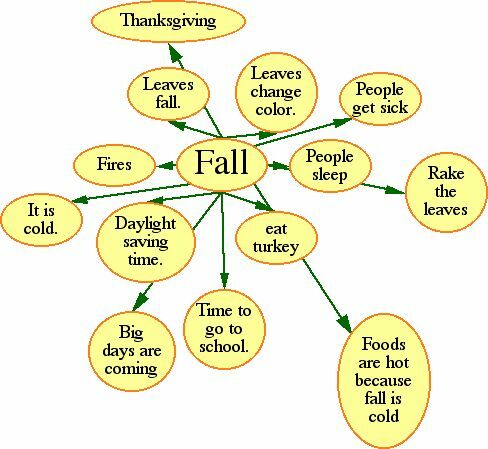 we graphed our favorite things to do in the Fall. 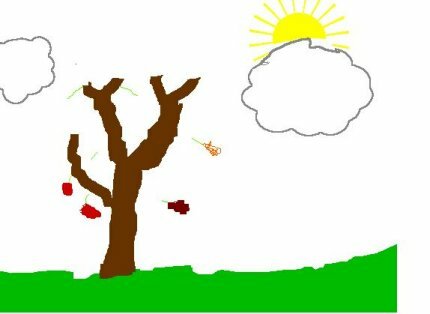 Finally we drew fall pictures using Kid Pix. Our class had a wonderful time learning about fall. Represent the same data set in more than one way (e.g., bar graphs and charts with tallies).